Negligence is a legal term that means failing to be careful and causing harm. 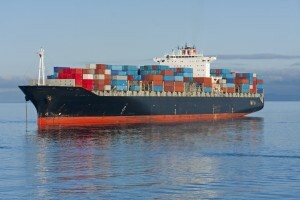 Negligent acts in the treacherous maritime occupations can result in severe injury and death. The Death On The High Seas Act (DOHSA) holds negligent vessel owners, operators, and maritime crews responsible for the wrongful deaths of seamen. In addition, the Act covers the damages of pain and suffering for the family of the deceased. A Texas Death on the High Seas Act attorney in Houston can help. If your loved one lost their life while working at sea, you may be eligible for financial compensation under DOHSA. The maritime attorneys at Rick Plezia & Associates have the experience needed to bring a claim and reach the most beneficial resolution for your family. The Death on the High Seas Act claims can be a family’s only way of recovering from the financial void left by a loved one. Surviving Spouse. A wife or husband who was married to the maritime worker at the time of death. Divorced spouses are not deemed beneficiaries. Children. Biological children, as well as stepchildren, who have suffered a financial loss from the mariner’s death. Parents. Dependent parents are considered beneficiaries. Siblings. Dependent siblings can collect on behalf of the deceased. Financial Support. The monetary contributions that the deceased made to his spouse and dependents. Loss of Service. A monetary value placed on the loss of services provided to beneficiaries outside of work. Funeral Expenses. Funeral costs up to the amount paid by the beneficiaries. Loss of Inheritance. Value of monetary support over the life expectancy of the deceased. Punitive damages are not recoverable under the DOHSA. A DOHSA claim must be filed within three years of the date of death. If your loved one died in a maritime work accident, contact a Texas Death on the High Seas Act attorney in Houston at Richard J. Plezia & Associates today to schedule an appointment to discuss your case. Our maritime law lawyers understand the complexities of the Death On the High Seas Act and can help your family recover financial damages from negligent acts of maritime owners and operators. We understand the difficult time your family is going through and we will fight aggressively for compensation on your behalf.